Extra large platform with toe guard. Waist high wrap around guard rail. Multiple rear aluminium braces for greater strength. Large feet with robust bracing for greater stability. Compatible with 'lock in' system accessories. 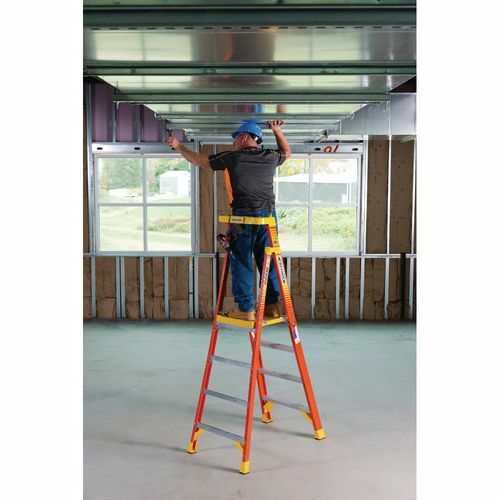 Having extra support while working at height is a good idea, this is so you can concentrate more on what you are doing rather than balancing on the ladder. 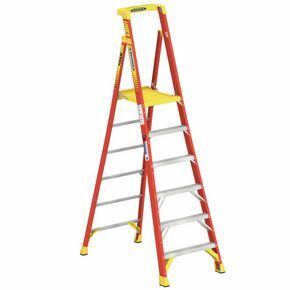 Our podium glass fibre stepladders are a great choice for working at height with an extra-large platform and toe guard, to support the user. 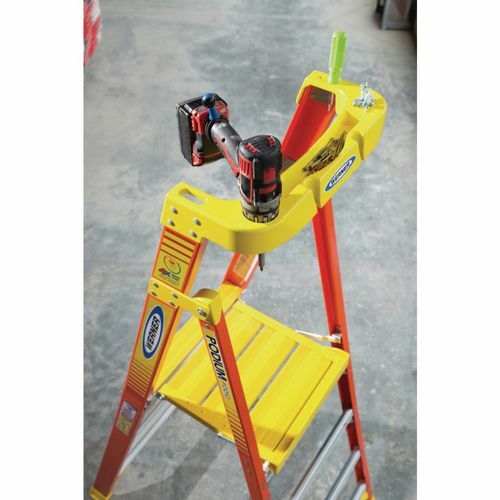 The multiple rear aluminium braces provide greater strength and the waist high wrap around guard gives the user extra support when using the top platform. Extra-large feet with strong bracing give greater stability, along with the seven layer fibreglass construction. There is a lock in system which is compatible with the built-in tool tray and a range of lock in accessories is also available to purchase on the Slingsby website. 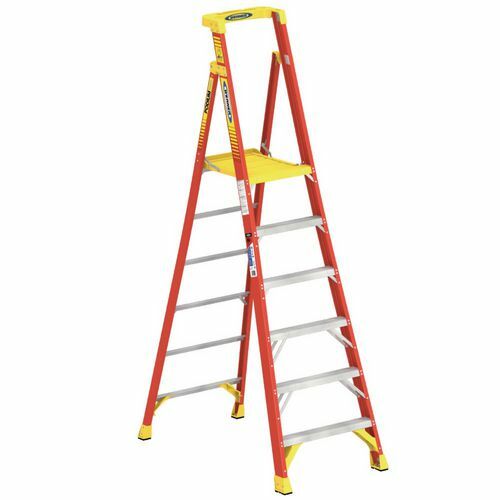 There are five platform heights to choose form; 0.71m, 1.22m, 1.83m, 2.44m or 3.05m; size to suit working heights up to 4.8m and they have 136kg load capacity. 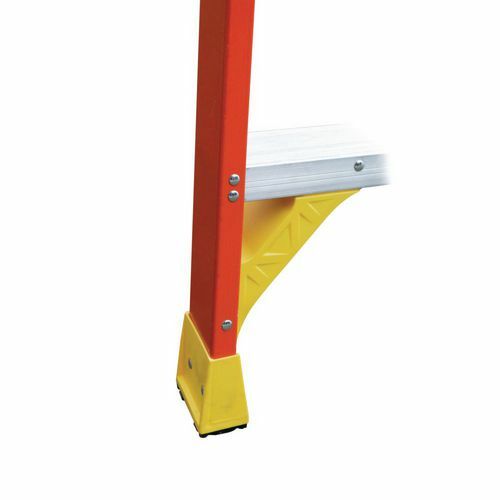 Our podium glass fibre stepladders are a great resource for trade or industrial work, providing convenience and stability for the user. They come with a 12 month guarantee and FREE UK Delivery.